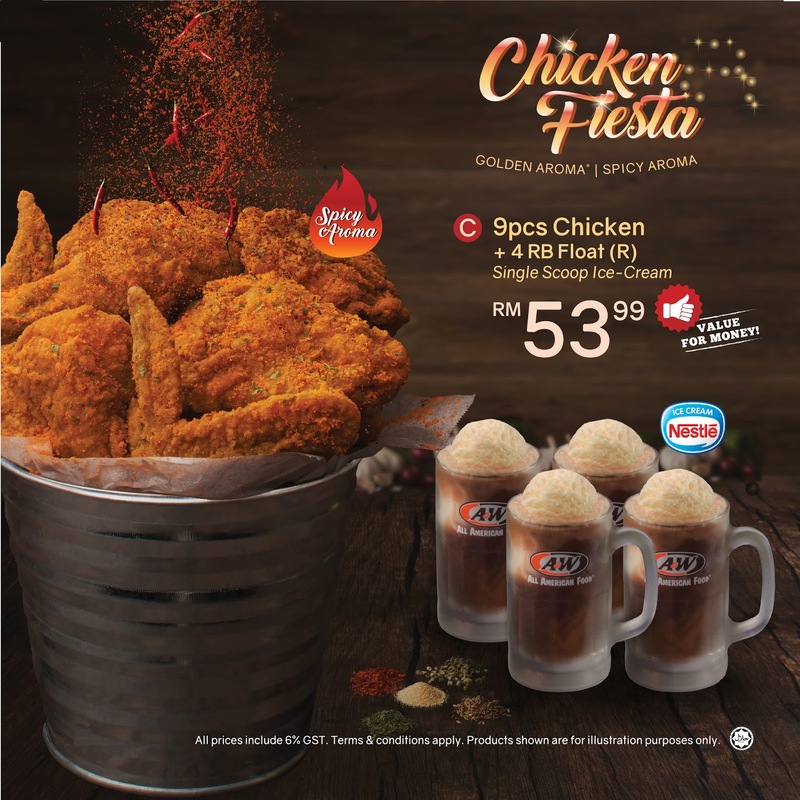 The long waiting has already over as A&W (Malaysia) Sdn Bhd introduce back their famous Chicken Fiesta. Public get to taste and enjoy the crispy, golden and nice aroma of their Golden Aroma Chicken and Spicy Aroma chicken. Is just like first love at first sight. Let's recall back the successful story of A&W (Malaysia) Sdn Bhd. 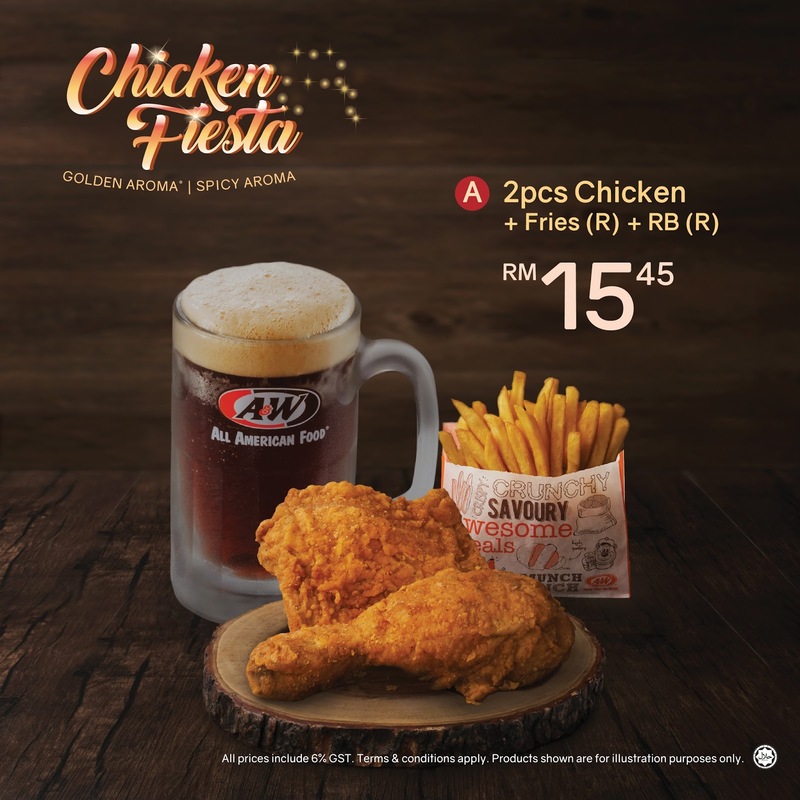 A&W (Malaysia) Sdn Bhd is the first quick-service restaurant (QSR) opened in Malaysia at Bt Road, Jalan Tunku Abdul Rahman. It was opened on 31st October 1963. When we talked about A&W, everyone will definitely relate to their famous signature products such as RB Float (previously known as Root Beer Float), Waffle, Beef Coney (previously known as Coney Dog) and Golden Aroma Chicken. 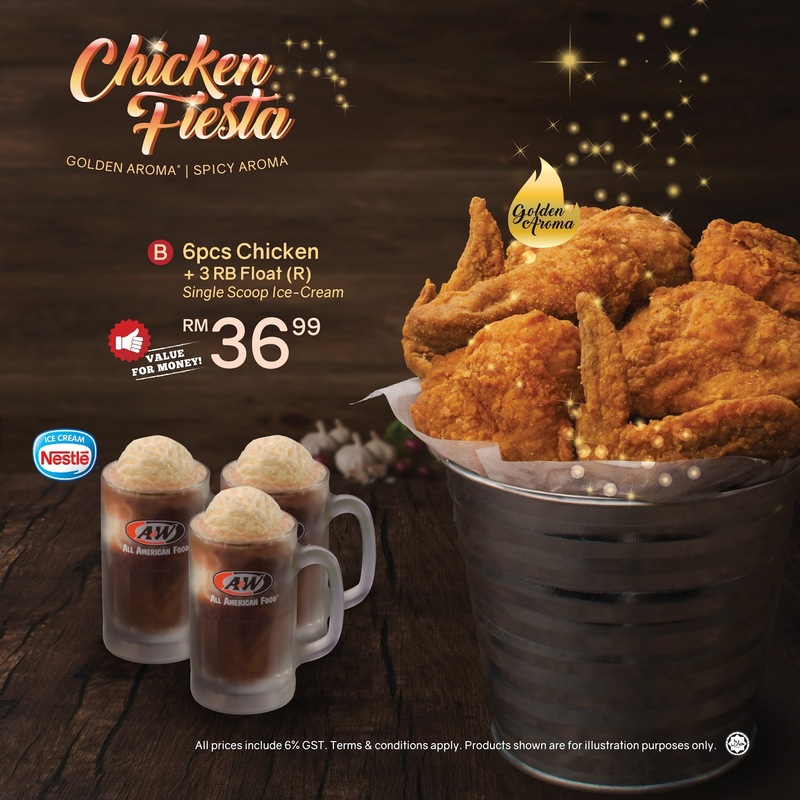 What makes fried chicken lovers admire so much Golden Aroma Chicken and Spicy Aroma Chicken? The answer is revealed in my blog. A&W chickens are freshly breaded with special herbs and cooked to golden perfection before serving to customers. Juicy and tenderness of the chicken are among the key qualities of its specialty. Whereas Spicy Aroma Chicken is really spicy, the spiciness is which differentiate them from other brands. The preparation time is not more than thirty minutes and customers get to enjoy the hot and crispy chicken out from their kitchen. 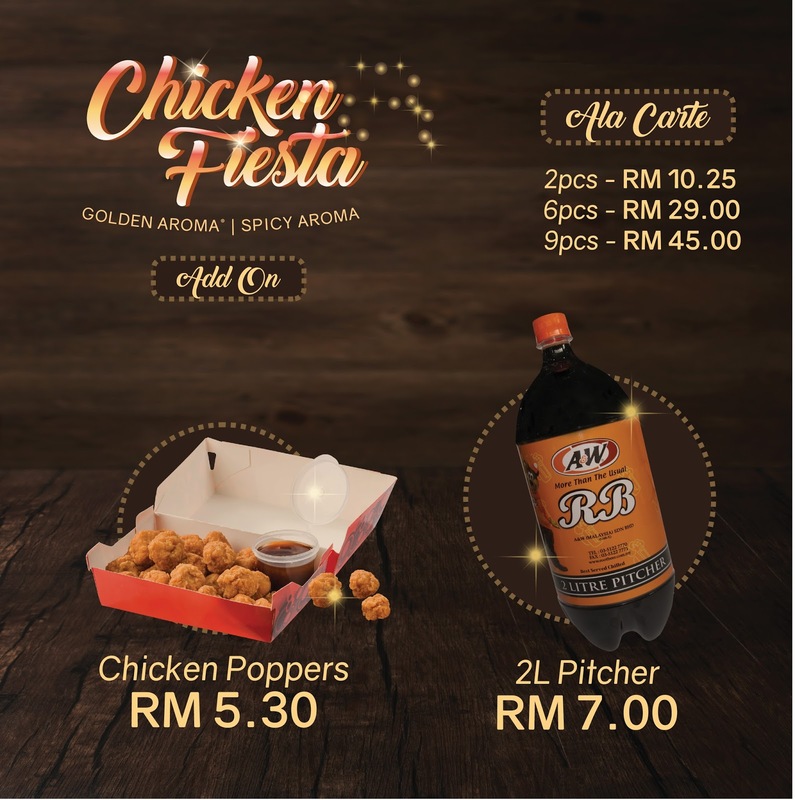 From 7 November 2017 onward, public get to order Golden Aroma Chicken and Spicy Aroma Chicken that serve with RB Float either in combo 2 pieces of chicken, or 6 pieces of chicken or 9 pieces of chicken. The combo price start at RM15.45 only. And don't forget grab your limited edition RB Mug that only sell at A&W restaurant. The promotion for RB Mug has started from 11th October 2017 until end of the year. A&W Limited Edition Mug 2017 specially imported from America company sell at RM49.90 for 20oz.